Opinion: Correcting Brand Islam - Whose Responsibility Is It? You are here: Home » Regional news » Asia » Opinion: Correcting Brand Islam: Whose Responsibility Is It? Opinion: Correcting Brand Islam: Whose Responsibility Is It? 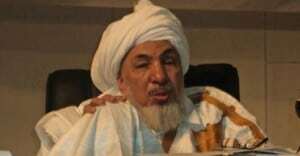 Such was the opinion of Sheikh Abdullah bin Bayyah, the prominent Muslim cleric known worldwide and to the scholarly circle as the scholar’s scholar, on the issue of ISIS and the need to refute the group and its practices which go against Islam. Beyond enhancing the marketing efforts of businesses as they target Muslim customer segments or the act of marketing with Islamic principles, I have always believed that Islamic Marketing as a concept should be dear to Muslims in today’s context. Specifically, Islamic Marketing to any Muslim trained in marketing must also be the effort to correct the world’s perception of Islam. Taking Islam as a brand, its primary positioning of being the peaceful religion for the benefit of all, both Muslims and non-Muslims, has been severely hijacked by the image of one that is violent and for a few, while cancelling others who don’t follow suit. This perception has been painted largely due to those who use the brand name Islam to commit these violent acts. The brand that Islam is now claimed by these brand characters, their symbols, and actions. The brand imagery is reinforced by the free publicity they get on the news. And they try their best to justify their actions with associations from the Quran and practices of the Prophet. Of course, those who are swayed are usually the ones with little proper knowledge and training about Islam itself. When brands are misinterpreted, companies go all out to correct the brand perception with strategic marketing campaigns. When brand Islam is abused and misinterpreted, who now can correct brand Islam? Islamic Marketers must join hands with the scholars in correcting brand Islam. True to the words of Sheikh Abdullah bin Bayyah, scholars and teachers can no longer sit passively and wait. The proper counter attack for the media attention such groups are receiving is a response which is more frequent, targeted and integrated from the learned in the media. The scholars have the product knowledge. The Islamic Marketers have the skills to correct brand perceptions. The time to galvanize is more pressing than it has ever been. And if galvanizing with the scholars of marketing is not an option, then the learned Islamic scholars must learn marketing, to make their efforts of amr makruf nahi munkar (encouraging good and forbidding evil) and da’wah (inviting others to Islam) more effective. Correcting brand Islam. We choose to help, by fighting with marketing finesse. NURHAFIHZ NOOR is the editor of islamicmarketing.org. He holds a Bachelor of Business Administration with a specialization in marketing from the National University of Singapore. He is also a Member of The Chartered Institute of Marketing (MCIM), a Chartered Islamic Marketer (CIMA) with the International Islamic Marketing Association (IIMA) and is a Certified Islamic Finance Executive (CIFE). In addition, he has authored three books, a publication in an academic journal and presented a paper at the 4th Global Islamic Marketing Conference in Istanbul Turkey. He is currently pursuing his Masters of Science in Marketing.